2017 National Famine Walkers arrives in Dublin and are pictured on the Jeannie Johnston, a replica of a sailing ship from the 1800s. Roscommon was one of the hardest hit counties during the Famine, losing 31 percent of its population. In 1845, County Roscommon was one of the first counties to record the appearance of the blight in the locality. The return of the disease the following year – earlier in the season and more lethal – resulted in an immediate increase in distress. On 12 October 1846, the local constabulary stated that 7,500 people were existing on boiled cabbage leaves only once in 48 hours. Strokestown House, a beautiful 18th century palladian mansion. Once home of the Packenham Mahon family, it has a sad history of evictions during the Great Hunger. The town of Strokestown achieved grim notoriety at the end of 1847 when the local landlord, Major Dennis Mahon, was assassinated. Mahon was an “improving” landlord, and he used the dislocation caused by the Famine to make changes to his estate. The resulting evictions (3,000 in 1847 alone) and assisted emigration (a large portion of whom died during the voyage) made him deeply unpopular within the community. Mahon’s death caused outrage in Britain, confirming, in the eyes of some, the lawlessness of the Irish and their ingratitude. It may have contributing to a hardening in attitudes in terms of providing further relief – either government or private – the Irish poor. The impact on the county was devastating, with Roscommon losing 31 percent of its population in the decade after 1845. This makes it one of the highest losses in the whole of the country. Moreover, in the post-Famine decades, the population continued to fall dramatically: in 1841, the population of Roscommon had been 252,118, in 2011, it had fallen to 64,065. Today, Strokestown is associated with the Famine Museum, which opened in 1994. 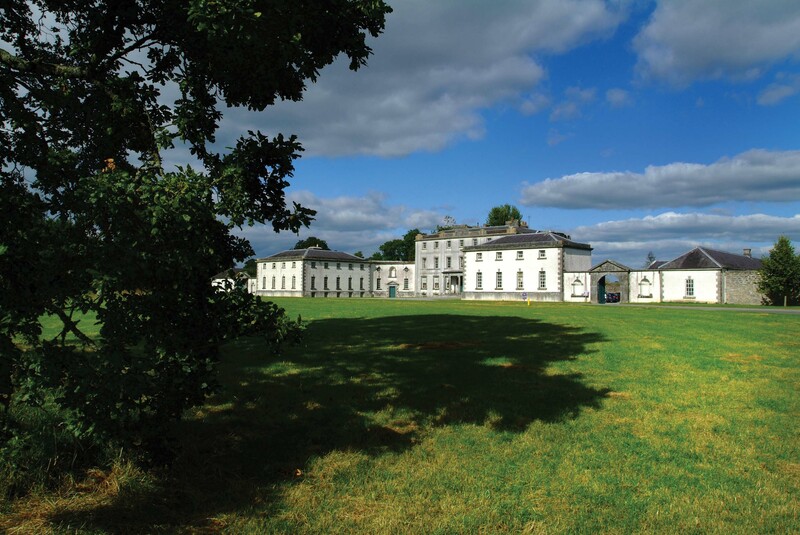 The Museum is located on the grounds of the Strokestown House estate, thus providing a compelling contrast between the lives of the poor and the lives of the wealthy Anglo-Irish elite during the Famine. It is also home to the Strokestown Park Archive, which contains over 50,000 original documents describing life on the estate in the mid-nineteenth century. A large part of the collections relates to the period of the Great Hunger. In May, 2017, Strokestown inaugurated a National Famine Walk recreating the route – almost a 100 miles on foot – along the Royal Canal, from Longford to Dublin, taken by the 1,490 tenants who were evicted and sent to Canada in 1847. The tenants were escorted by Bailiff Robinson to Dublin to ensure they boarded ship and did not return home. The story of the tenants’ fate after they left Dublin is a harrowing one. They traveled on open deck packet steamers to Liverpool, where they waited in the cellars of quayside buildings at Liverpool docks to board their ships to Canada. Dr. Christine Kinealy, director of Ireland’s Great Hunger Institute at Quinnipiac University, took part in the Famine Walk in May. Her publications include the groundbreaking work This Great Calamity: The Irish Famine 1845-52 (Roberts Rinehart, 1995) and The Bad Times: An Drochshaol (XanEdu, 2015), a graphic novel written with John Walsh. Why is this so badly edited/proofread with so many glaring goofs? This is far too common in Irish America today; we deserve better and so does the magazine. Not all the Mahons were bad. One, chased out by Cromwell, became president of another country. Stay tuned!